FRANKFURT/BEIJING -- Global automakers are planning a $300 billion surge in spending on electric-vehicle technology over the next five to 10 years, with nearly half of the money targeted at China, accelerating the industry's transition from fossil fuels and shifting power to Asian battery and EV technology suppliers. The unprecedented level of spending - much of it by Volkswagen Group - is driven in large measure by government policies adopted to cut carbon dioxide emissions and will extend technological advances that have improved battery cost, range and charging time to make EVs more appealing to consumers, according to an exclusive Reuters analysis of public data released by those companies. China for decades played catch-up to German, Japanese and American automakers, which dominated internal combustion vehicle technology. Now, China is positioned to lead EV development, industry executives say. "The future of Volkswagen will be decided in the Chinese market," said Herbert Diess, CEO of VW, which has decades-old joint ventures with two of China's largest automakers, SAIC and FAW. Diess added, "We have very clear policies established here in China. Policymakers and regulators are requiring" a shift to EVs. 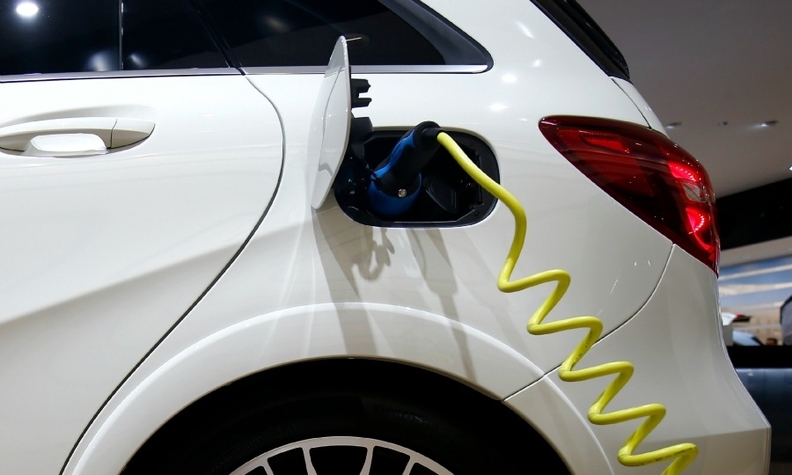 As China and other countries place more restrictions on conventional gasoline and diesel engines, auto companies have accelerated the shift to electrification. A year ago, global automakers said they planned to spend $90 billion on EV development. The $300 billion that automakers have earmarked to put EVs into mass production in China, Europe and North America is greater than the economies of Egypt or Chile. Almost one-third of the industry's EV spending total, about $91 billion, is being committed by the VW Group, which is aggressively trying to distance itself from the diesel scandal, which has cost it billions in penalties and legal settlements. VW’s staggering EV budget dwarfs that of its closest competitor, Daimler, which has committed $42 billion. In comparison, General Motors, the No 1 U.S. automaker, has said it plans to spend a combined $8 billion on electric and self-driving vehicles. Roughly 45 percent of the global industry's planned EV investment and procurement spending, more than $135 billion, will occur in China, which is heavily promoting the production and sale of EVs through a system of government-mandated quotas, credits and incentives. As a result, EV spending by major Chinese automakers from SAIC to Great Wall could be matched or even exceeded by multinational joint-venture partners such VW, Daimler and GM, as they dramatically expand their electric vehicle portfolios in China and ramp up battery purchases from Chinese suppliers. Actual spending by vehicle manufacturers on r&d, engineering, production tooling and procurement likely will be much higher. The analysis also does not include related spending by automotive suppliers, technology companies and large corporations in other industries, from energy and aerospace to electronics and telecommunications. “There has been a rush” to invest in EVs and batteries, said Alexandre Marian, AlixPartners managing director and co-author of a 2018 study that forecast total EV spending of $255 billion through 2023 by global automakers and suppliers. Marian said the industry has increased spending budgets on EVs and batteries, while seeking more alliances and partnerships to help spread the higher investment costs. Alliances, such as those between VW and its Chinese partners, will be among the greatest spurs to innovation, especially in the global rollout of EVs.